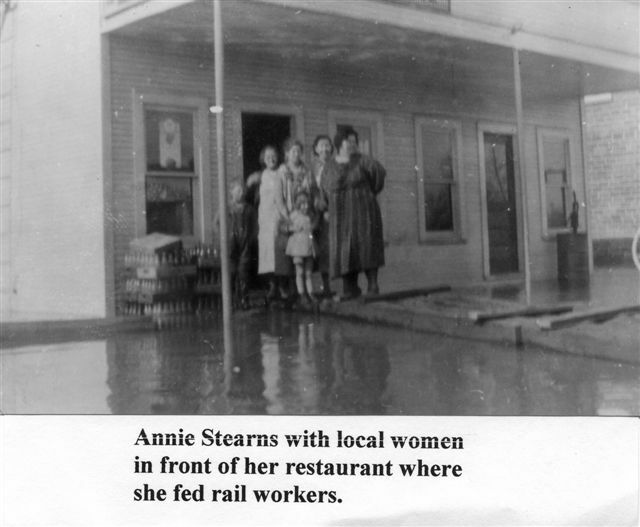 Annie Stearns with local women in front of her Reevesville restaurant during the 1937 flood. 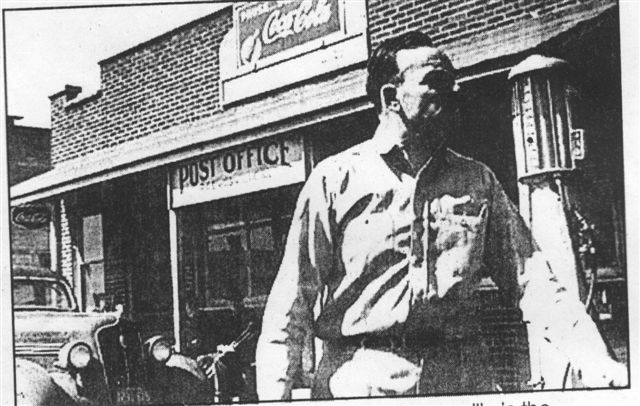 Middle Row: Tinse Whitelock, Paul Stratmeyer, Joe Whitlock, Clyde Frothingham. 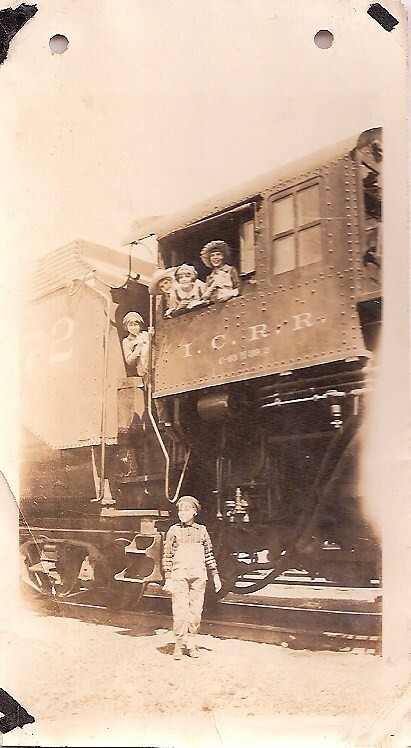 Bottom: Jean Rolfe, Verna Mae Brenningmeyer, Frances Brenningmeyer. Cathy's mother was Juanita Carter and she is pictured with her siblings, Ed Carter, Lowell (Jughead) Carter, and Flora Carter. 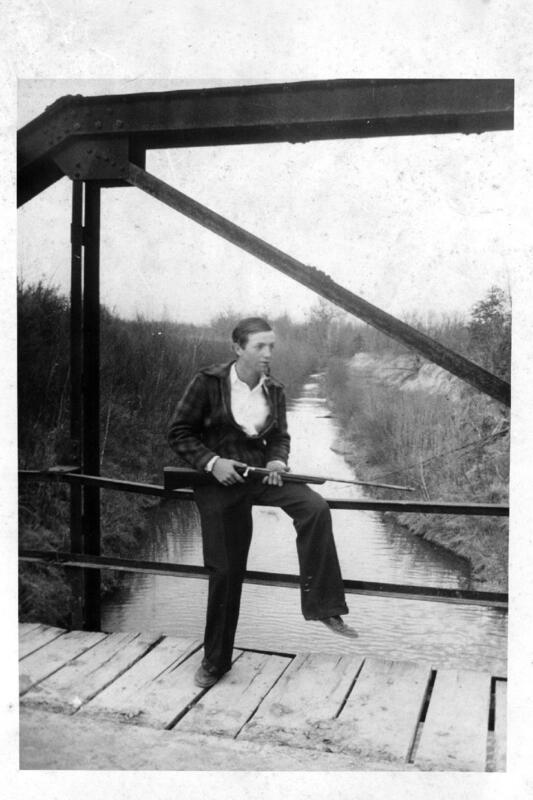 Juanita's cousins in the picture were Paul and Lowell Farquhar. 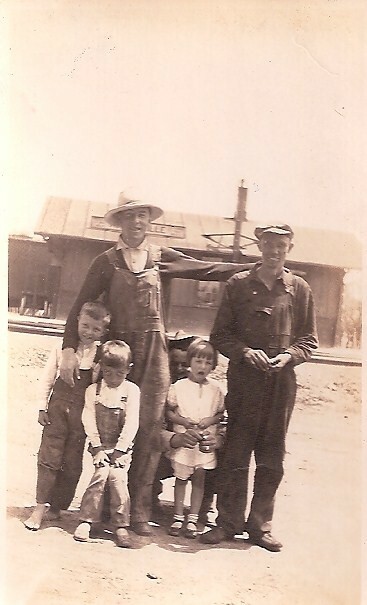 Pictured were Gaynail and Stanley Taylor, her niece and nephew being childern of her oldest sister, May (Carter) Taylor. Only Gaynail and Lowell Farquhar are still living. 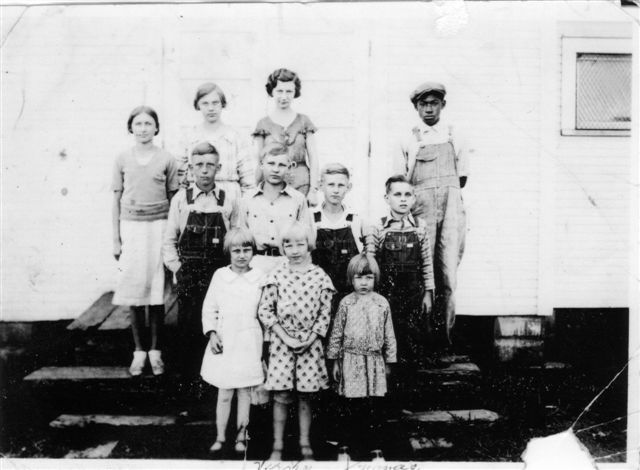 Also in the picture are: Clifton Mathis, Lindell Glass, Kenneth Cagle, Harriet Wieneke, Janet Comer, Donald Richardson, Imogene Griffith, Lowell Richardson, Wilburn Griffith, Wyona Griffith, Ray Cooper, George Mathis, Jewell Glas, Dorothy Cagle, Dora Wieneke, Loren Smith, Ed Wieneke, Rosemary Cooper, Helen Glass, Helen Cagle, Freda Cox, Flossie Mathis, Elsie Faye Wieneke, Viola Cox, Bill Mathis, and Teacher Lidda Morgan. 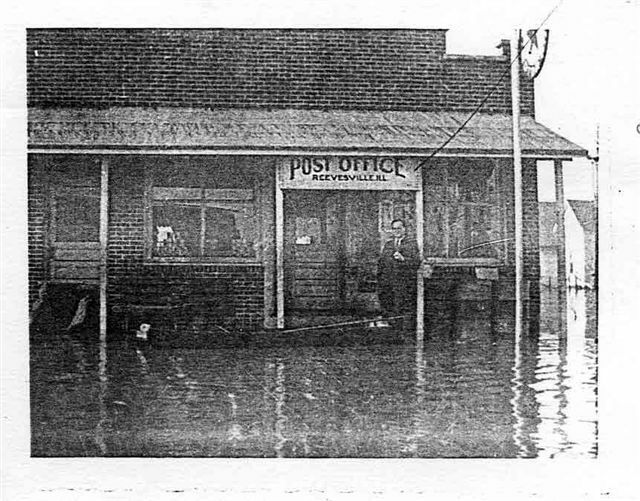 Gaye Hunt owns the photo. 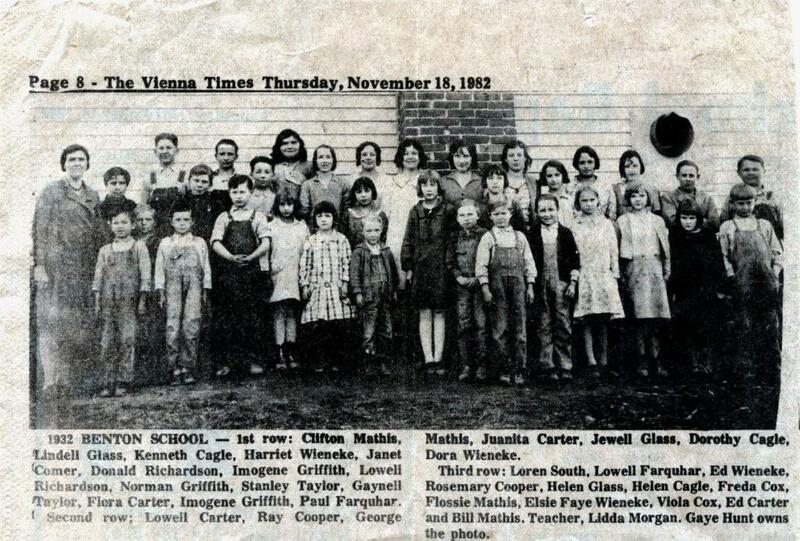 Correction Submitted 8/2010: "In the picture of the class 1932 there is a couple of kids that have the wrong names. 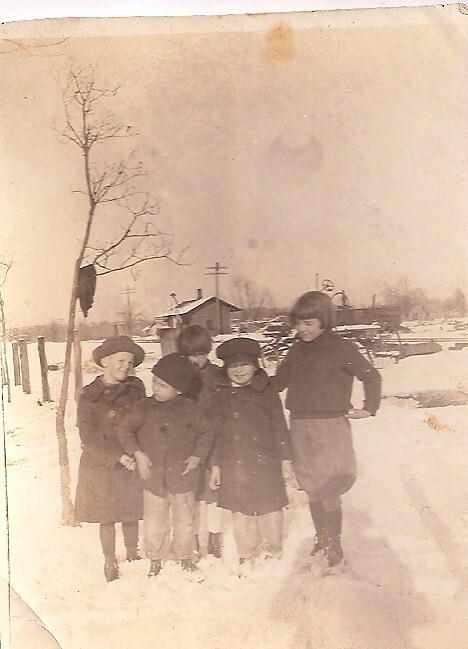 All in the front row start with the tallest girl is Imogene Griffith, Lowell Richardson, Wilburn Griffith(Not Norman), then one boy 2 girls,the next girl with black hair and black dress is Wyona Griffith. These were my brother and sisters all decease..... Alvin" Thanks Alvin, for the info!! 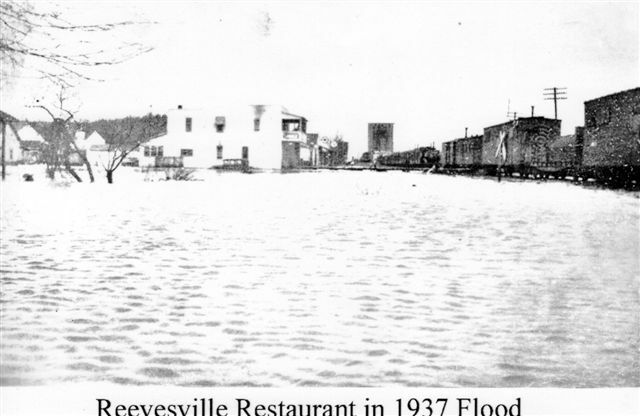 This is a picture of Front Street during the flood of 1937. 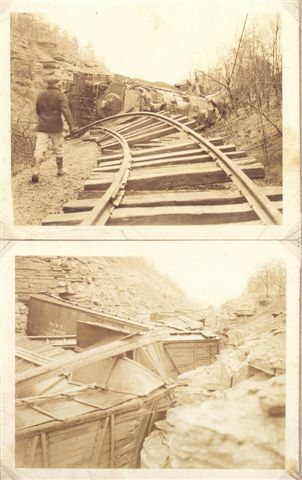 Barely visible is a temporary boardwalk that was built crossing the street from the restauarant to the ICRR railroad tracks. 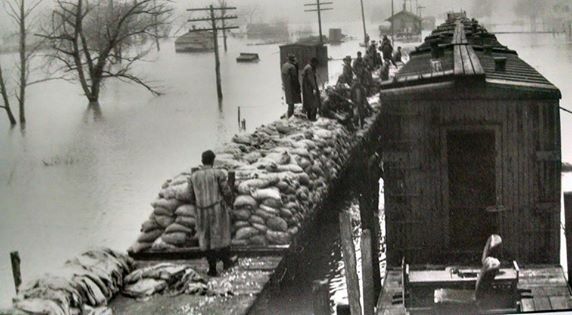 Some of the flooded residents took shelter inside empty box cars that were placed on the siding behind the depot. Wreck occurred just north of Simpson on the ICRR Edgewood Cutoff. 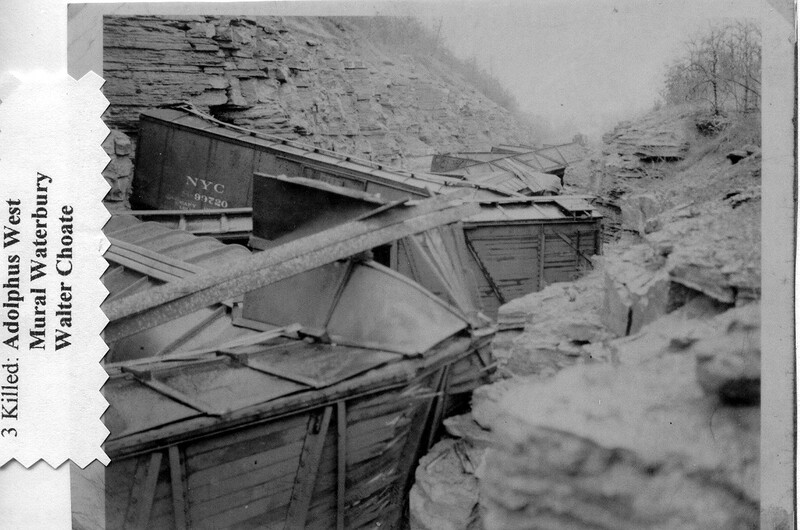 Engineer and Fireman and Brakeman were all killed.